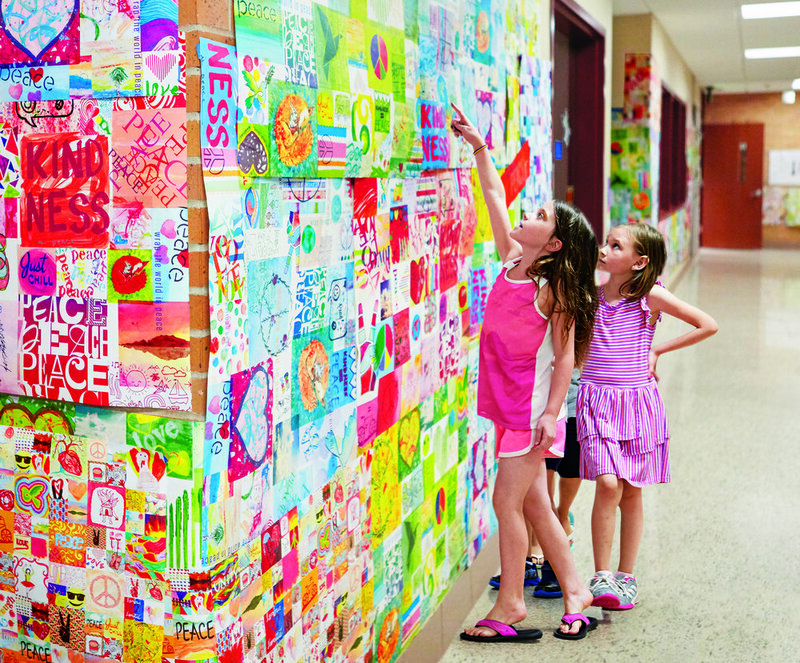 Peace Paper inspires students to collaborate and share as together they wrap classrooms, hallways and more in colorful messages of peace and kindness. You can also engage your students in a Peace Paper education curriculum which fosters creative activities and learning in several key areas that promote peace awareness and action, including self-expression, inclusion, diversity of thought and activism. The K-12 lesson plans were created in collaboration with Hopkins Public Schools and include tie-ins to national core standards.